FIND YOUR STUFF: locate lost items through a digital display on the iTag app from up to 75 feet away without obstruction. 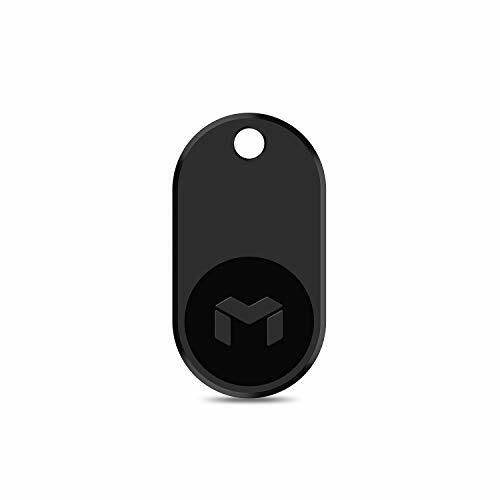 This mini locator will prevent you from losing your most important and valuable possessions. 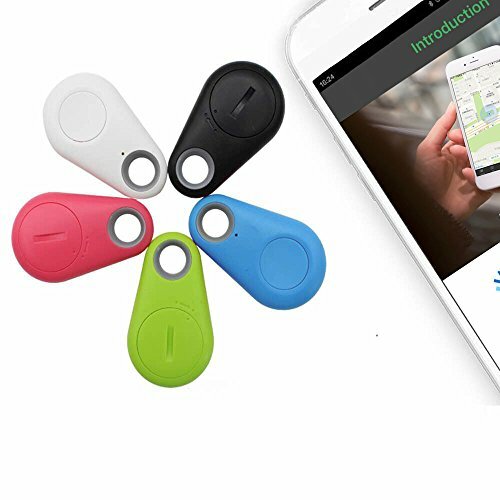 Especially useful as a key tracker, so you don't have to worry about losing your keys. PHONE FINDER AT YOUR FINGERTIPS: press the tracker and your phone will ring until you locate it even if its set to silent. Your iPhone or Android can be located at the press of a button. REMOTE SHUTTER: take the perfect selfie at the click of a button. Take as many selfies & pictures as you want without asking. TRACK YOUR PARKED CAR: drop a pin so you can easily find your parked car and your GPS locator will guide you. 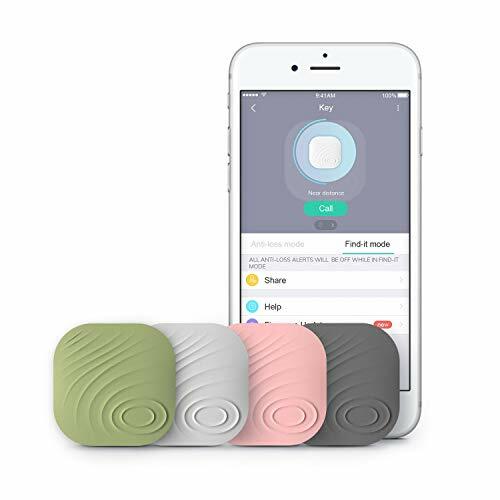 SET AN ANTI-LOST ALARM: your Bluetooth tracker will start beeping if your item goes out of range so you don't have to worry about losing your keys again. Easy to change battery that lasts for 6 months. 【6 Key Finders】:Attach the receives to any 6 items and simply press the number buttons to locate them. 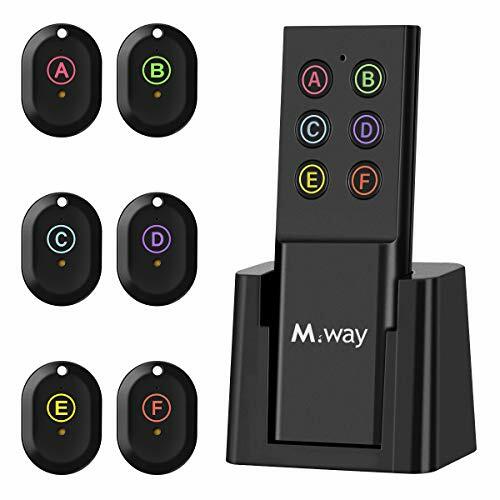 Easy to use and operate.Notice:The MWAY keyfinder only is provided by firstmore. 【2 Ways to Alarm】:There are 2 ways to help you find the items. When you press the button, the receiver will beeps and flash a red light to locate the items easily. 【Advanced Design】: This key finder with modern and beautiful design, the receiver is very tiny.If you attach it in your purse or key, it will not take up the space. The base can be installed on the wall or the door, also can be place on the table.And it's wireless range is up to 98ft in a open, no-obstruction space.If there are some blocks like columns, walls, the range will be narrowed down to 82 ft or less.And the Loud beep sound is up to 80DB+. 【Save Your Time】: Life is busy. People may temporarily amnesia, especially the elder and children are easier to forget things. It is hard to look for the thing what you have lost immediately. But if you have key finder, only need to press the button, you can fine the lost according to the sound and red light. Key finer make your life become intelligent and help you solve the small trouble in the work or life. 【Easy to Install】: Detachable transmitter bracket, not only can pur it on the desktop, but also can be n MULTITASK MANAGEMENT. The key finder (receivers) can be attached to key, mobile phone, wallet and luggage, etc. almost all the important items. It's feasible and practical in personal life and work. ****Trace your car in the parking lot. Locate the parking site on a map from your phone before leaving from car. Then you can trace back to your car. ****Retrieve your lost items.Great for Hunters A pin drop will be marked automatically on map to show where your lost belongings are. ****Self-Portrait, capture great pictures. Works as a remote shutter for a self portrait. Also you can trigger on/off the voice recording on your phone. ****Just Download the FREE app. and get started Anti-lost alarm Keep your Valuables, Pets,Phone, Purse, Elderly, Children from being lost. 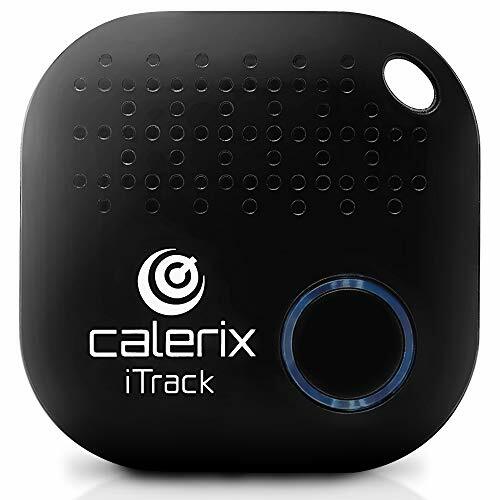 UPDATE MODEL: Key Finder from Calerix presents a new product 2017, more progressive and long working. It retains the excellent performance it now has a stronger signal and a sound. The average battery life of the Key Finder is 12 months you can open it up and replace the battery using the supplied tools. 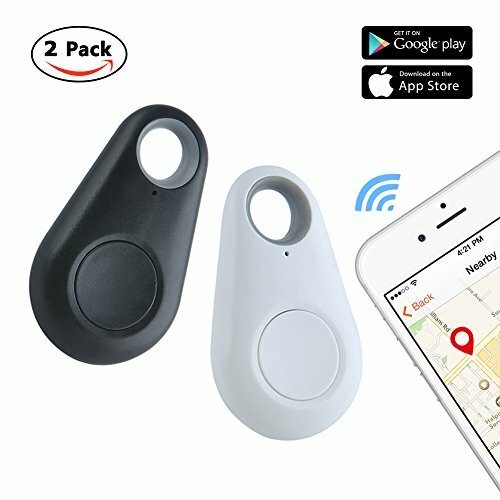 The device enables you to find your lost keys using a companion app for iOS and Android devices, and you can activate a 98 db alarm that comes directly from the Tracker's built-in speaker. 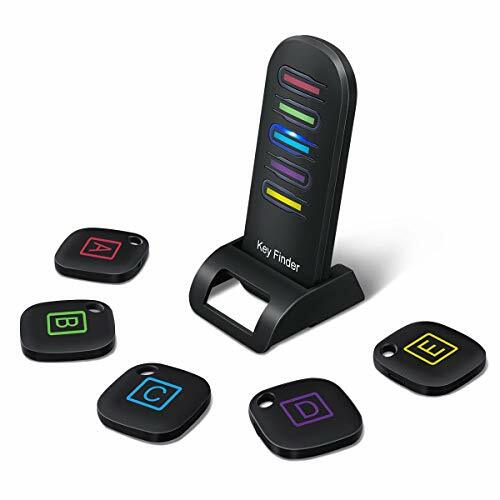 MAGICAL KEY FINDER FEATURES: The Key Finder by Calerix is an app enabled tracker that uses your phone for two-way security. 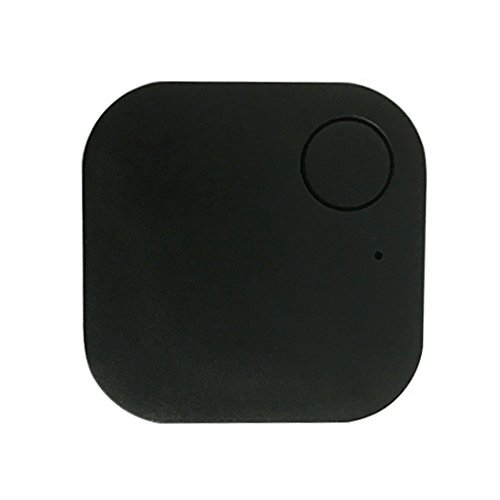 You can activate the Anti-Lost Mode and your device will beep if the distance between the subject and Key Finder touts an impressive tracking range of 98.5 ft (30 m). For example, if you keep a tracker in your purse and walk too far away from your phone, the tracker will alert you, and, alternatively, you can use your phone to locate your purse. 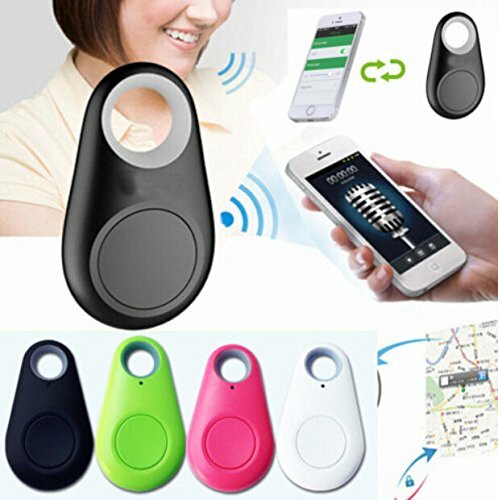 ATTACH TO ANYTHING: Wireless Anti-lost Key Finder it's a guarantee of success in searching for the lost items and saving of time. Designed with a convenient hole, easily hook onto keys or stick to anything. Its parameters 1.3 by 1.3 inches, is easily attached to most necessary things. 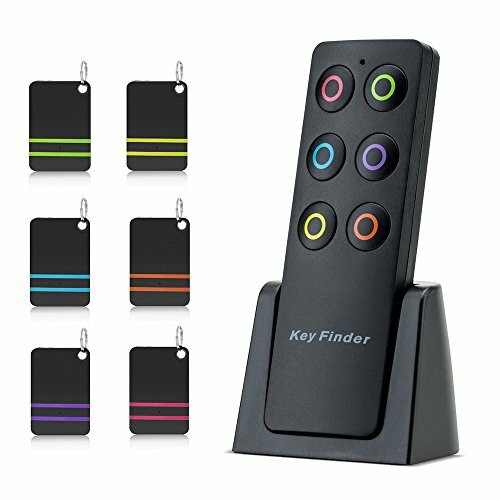 Key Finder can be attached to a smartphone, cameras, wallets, passports, purse, laptops, car key or other important items for easy locating. It is applicable even for your pet. 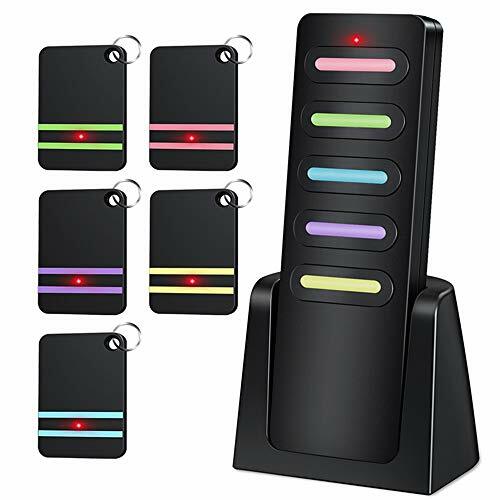 One Transmitter and Six Receivers: This Wireless key finder Attach the receives to any 6 items and simply press the color buttons on the transmitter to locate them, the beep sound from the receiver will lead you to locate and find the lost item. Long Distance Range: Upgrade to 80dB beep sound and 100ft wireless range in open area. Radio-frequency signal can penetrate through walls, floors, cushions, leather, etc. 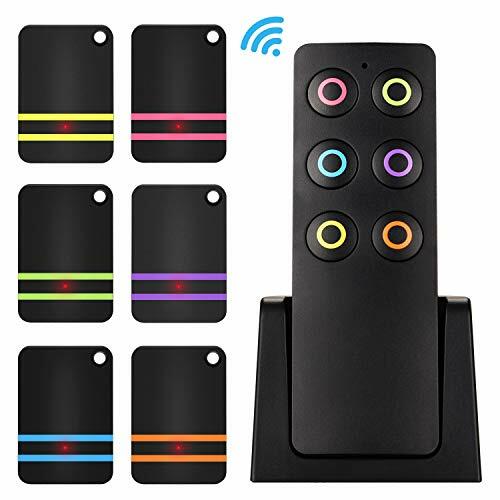 Easy to Use: When you press the remote button, the receiver sounds can make you find the lost item and the key finder control is equipped with a flash light for better night visibility when locating the Items. 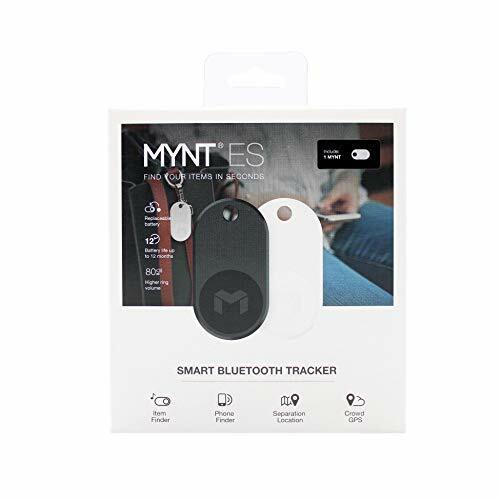 Multifunctional: This key trackers is portable, easily fit your wallet, handbag, key rings, glasses, luggages and lovely pets. 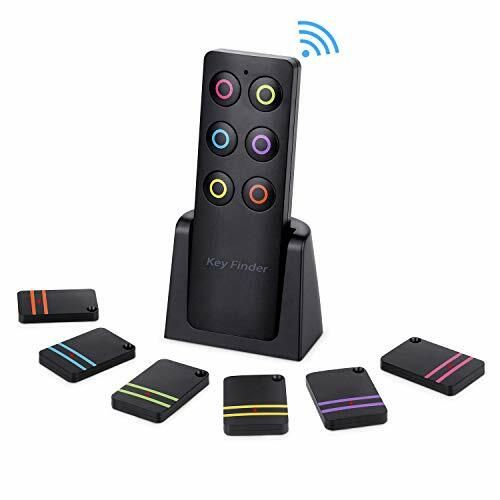 Compact Design: The wireless key finder comes with 6 receivers and 3m tape, the receivers will attach well on the potential losing item, it can help you find lost item easily and quickly. Cutting edge waterproof design: IP67 waterproof design, no need to worry about rainy days. With five strong magnets on the back, the tracker can be firmly stuck on metal surface on cars. Working based on existing GSM/GPRS network. GSM network generic. Please prepare a Standard SIM Card. locate and monitor any remote targets by SMS, APP and Internet. It only works on 2G network. 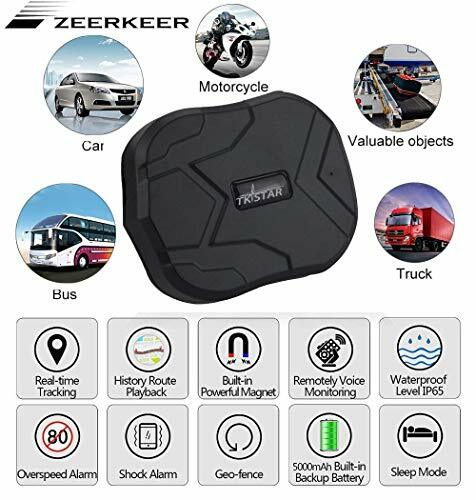 Multifunction: movement, Voice Monitor, parked, speeding, device on/off, low battery, real time locating, route replay, alert when engine's on or the tracker got moved, geofence, in and out of zones. 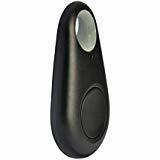 Portable and Lightweight: Compact size key finder helps you locate lost or misplaced items. Lightweight, portable and convenient for you to carry around. A must-have for anyone who always leaves their phone or miscellaneous items behind. Beeps and Flashes: One press on button, loud beep sound and flashing red LED light will lead you to find lost items up to 100 feet away in seconds. 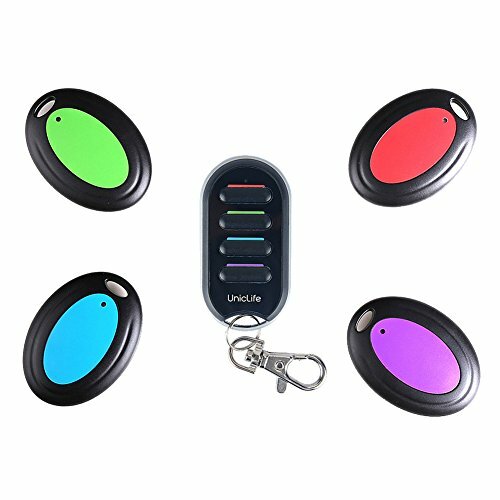 4 Color Receivers: Uniclife key finder comes with 1 transmitter and 4 receivers in red, green, blue and purple to attach to any items you want. Support up To 100 ft: The remote's strong Radio frequency can penetrate through walls, floors, cushions and doors, etc. 75-80 dB sound volume is and support long distance up to 100 feet. Low consumption and long standby time. CE, RoHS, FCC approval. Free Lifetime Technical Support and 12 Months Replacement Warranty from Uniclife. Working based on existing GSM/GPRS network. GSM network generic. Please prepare a Micro SIM card. locate and monitor any remote targets by SMS (SIM Card NOT included), APP and Internet. It only works on 2G network. Real-time tracker: APP & monitoring website allow you to locate rapidly & accurately. Easy to use: Download the APP, add the device by scanning the IMEI No. Insert SIM card start to use. Keep Track of What Matters Most: Lost your keys? Can't find your wallet? Looking for your dog? The Esky 6-in-1 Key Finder takes the stress out of lost stuff. 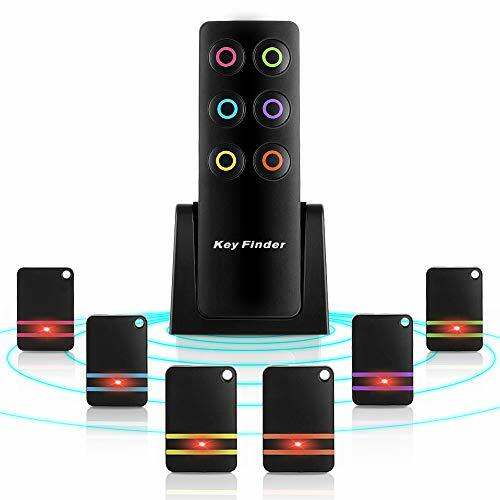 Attach the 6 included receivers to your keychain, wallet, dog's collar, TV remote, or anything else that's tricky to keep track of. 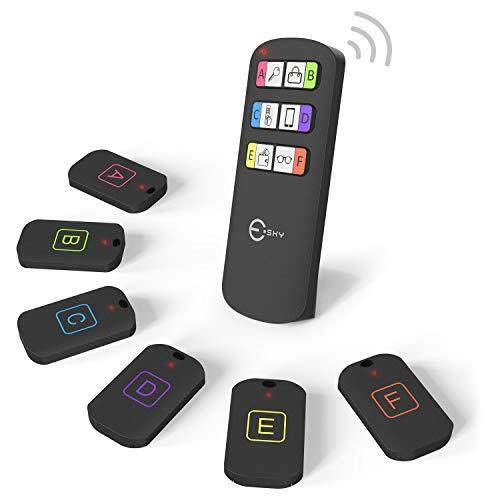 Press the matching button on the remote to find your valuables instantly! Stay Organized with Stickers: We've included blank stickers and 11 icon stickers to take the guess work out of tracking. Place one sticker (blank or icon) onto the individual tracker and place the other sticker with the corresponding color on the remote button. When you need to locate your stuff, just push the color-coded button! Loud 80db Beep: Finding your items is simple. Just follow the sound! Once you press the corresponding button on the remote, device will emit a loud 80db beep that can be heard from great distances. Long-Distance Tracking: With the Esky 6-in-1 key finder, you'll be able to find your stuff no matter how far away it is. Advanced radio frequency technology penetrates through walls, doors, and furniture, locating your items from up to 100 feet away. Ultra-long Battery Life: When you're scrambling to find your things, a dead tracker is the last thing you need. Our ultra-powerful batteries will last up to 1 full year! Both the receivers and the remote will be ready to go whenever (and wherever) you need them. 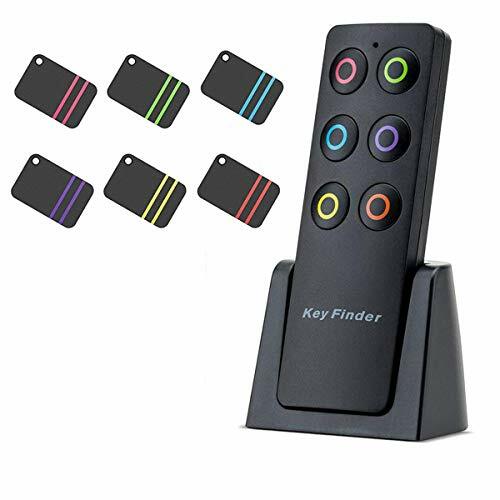 【Small and Lightweight】A great gift to forgetful person, elder friends.Never lose your keys, purse, glasses, canes, umbrella or anything again in the house.A must-have for anyone who always leaves their phone or miscellaneous items behind. 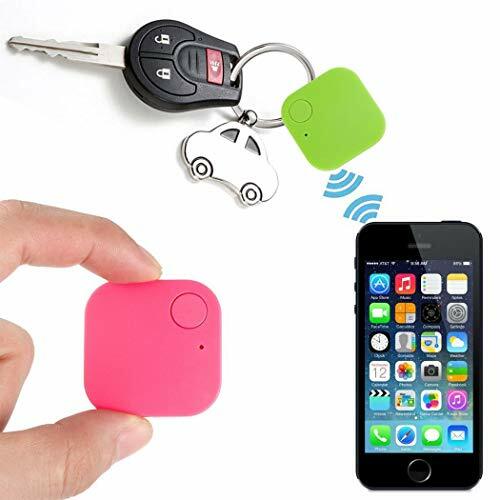 Compact size key finder helps you locate lost or misplaced items. Lightweight, portable and convenient for you to carry around. 【Package Included】6 x Receiver, 1 x Transmitter, 1 x Base, 2 x Screws, 1 x Manual, 1 x Box, 7 x Batteries, 6 x Key Chain, 6 x Adhesive tape. 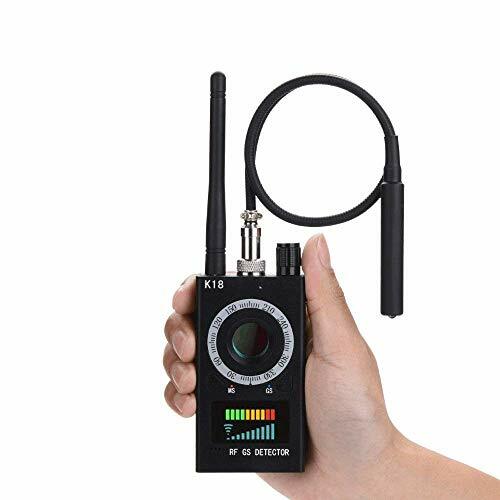 【Easy To Use】No need to match,with just one press on the button of the transmitter,the corresponding color receiver will lead you to locate and find the lost item. 【Powerful and Long Distance Range】Up to 80dB beeping sound and 30m (100ft)wireless range in open area! 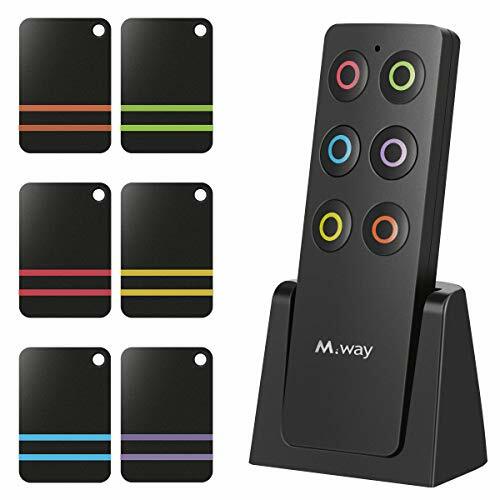 【Multifunctional】Comes with double-side stickers and key rings, which means you can attach it to anywhere, almost all the important items in personal life and work are feasible. 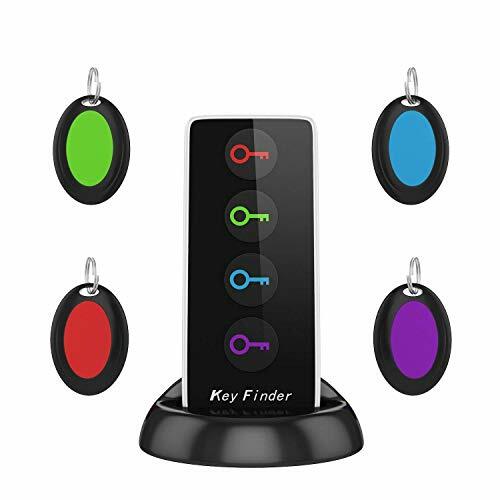 【6 KEY FINDERS】- Attach the receives to any 6 items and simply press the color-coded buttons to locate them. Easy to use and operate. 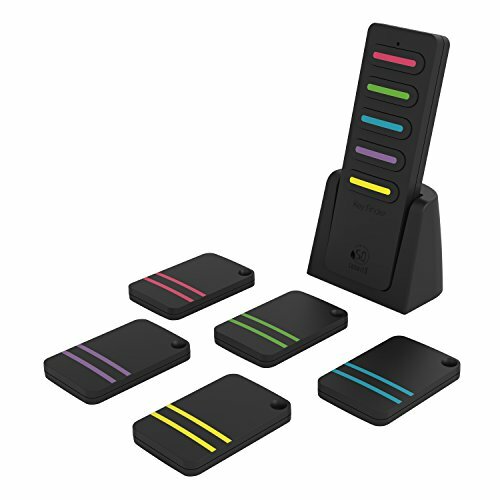 【SOUND & LIGHT】- You just need to press the transmitter,the beep sound from the key finder will lead you to locate and find the lost item. 【EASY OPERATION】- Compared with the old stand-up pedestal which is easy to be lost, our improved cambered base support is more stable. You can use the tape to stick to the wall or back of door. Upgraded loudspeaker, up to 80dB beeping that you no longer complain the low sound. Red flash also makes it easy to find your items even at night. 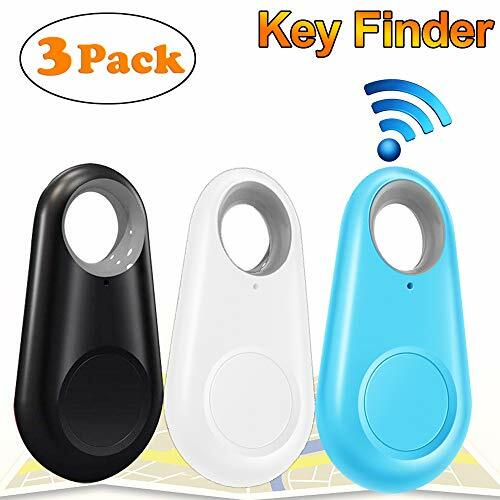 【WIDELY USE】- These key finders are lightweight and portable, easily fit your wallet, handbag, key rings, glasses, luggages, canes, umbrella, lovely pets, even your kids. The package comes with 6 double sided tapes and 6 key rings, so you can attach these finders to any 6 items you want. Best gift for those elders who always forget something. 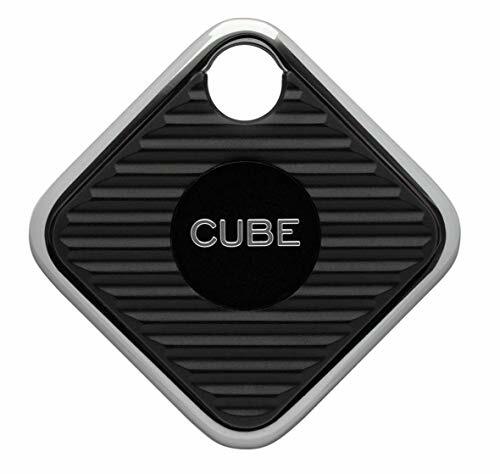 Simple CUBE Tracker app will show last known location on a map, uses bluetooth to tell if you are near or far, press find and CUBE will ring. 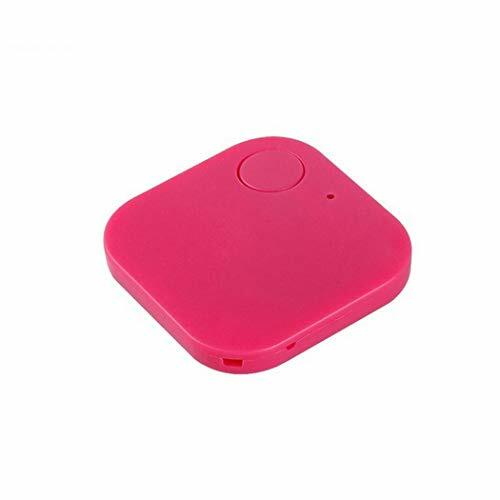 Also has a separation alarm to alert you if you left something behind. Convenient USB Charging: Save money on expensive batteries. 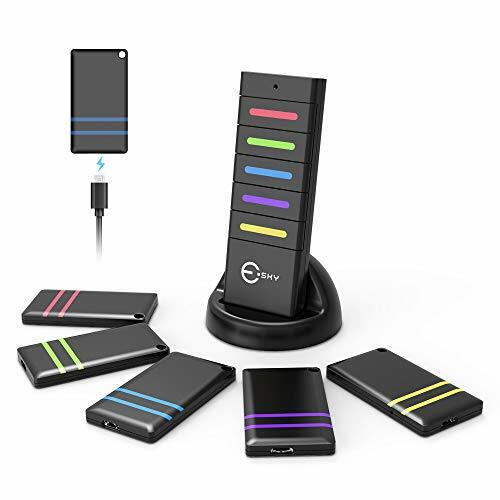 The Esky Key Tracker is USB chargeable! A 10 minute charge provides an incredible 3 months of use. Low Battery Alert: Key finders aren't any good if they're dead! When the batteries are low, the LED screen will flash so you know it's time for a charge. 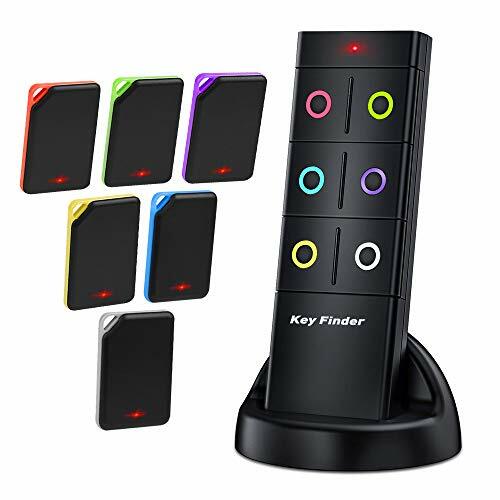 Amazing 100ft Range: The key finder's radio waves can easily penetrate through walls, furniture and doors - you'll be able to find your lost goods no matter where they are. 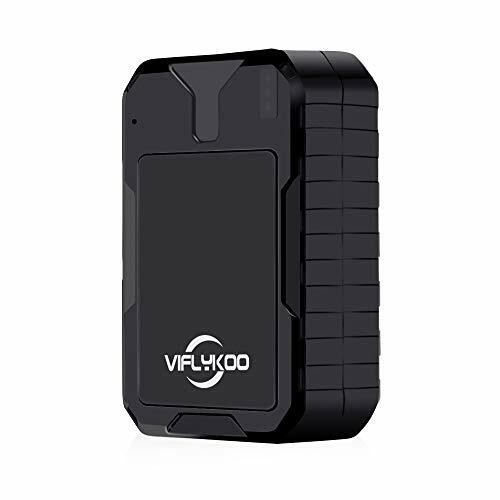 This device can locate items from 50 ft away indoors and 100 ft outdoors, emitting an 85dB~90dB beep when the items are nearby. 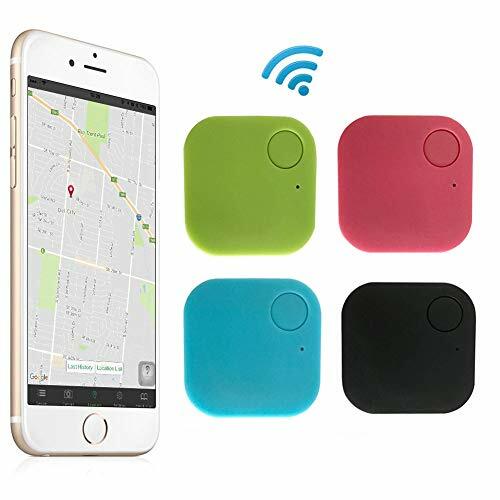 【EASY TO OPERATE】 Wireless Item RF Locator attaches with the receives to any 6 items and simply press the color-coded buttons to locate them, the beep sound will lead you to find the lost items. 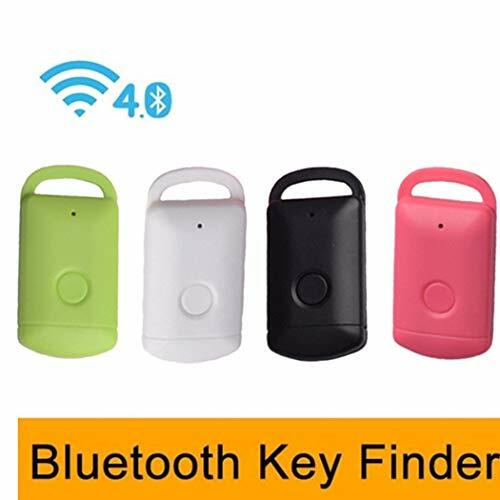 【POWERFUL KEY FINDER】 Long distance range, up to 80dB beeping sound and 25-40m (82-130ft) wireless range in open area, the radio frequency can penetrate through walls, floors, cushions, leather, perfect for use indoor or in the garden and yard. 【LOW-ENERGY CONSUMPTION】 Built-in efficient sound driver chip and upgraded volume. Long standby time, life up to 6-12 months with an easily replaceable CR2032 battery. Super convenient and helpful in your daily life! 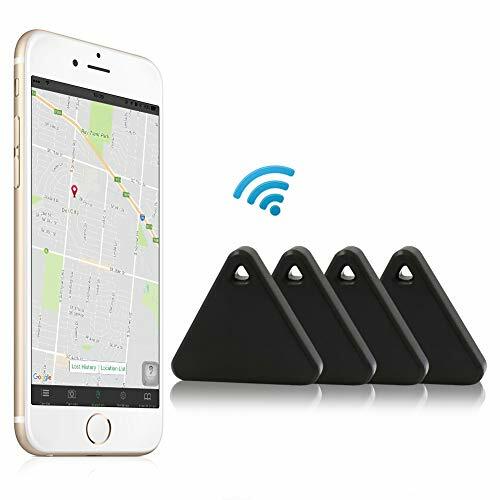 【LIGHTWEIGHT AND PORTABLE】 Thin and lightweight 6 wireless finder receivers can be attached to key, mobile phone, wallet and luggage, etc. Specially suited to older people and the one who always forgot something. 【1 YEAR WARRANTY】 Modern smart finder design with base support, CE, RoHS, FCC approval. Free lifetime technical support and 12 months warranty. 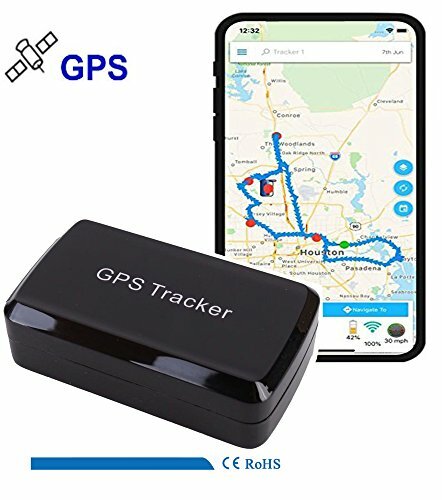 PINPOINT YOUR PROPERTY: Track your property to within feet with the LoneStar GPS Tracker for Cars, Trucks, and Motorcycle GPS Tracker. Easy under-dash installation with 2 wires allows usage monitoring and real-time vehicle recovery. 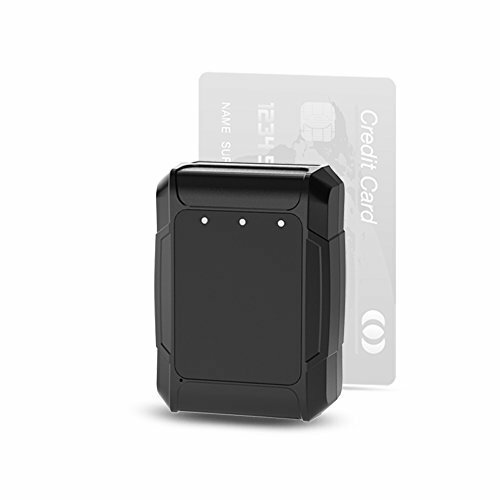 NO HIDDEN MONTHLY FEES: Our small GPS tracker has no contract and no recurring monthly fees. Your initial purchase includes 2 years of unlimited service. Renew afterward for a just $4 per month, billed annually. Compare to the competition where you'll spend $600 over 2 years. 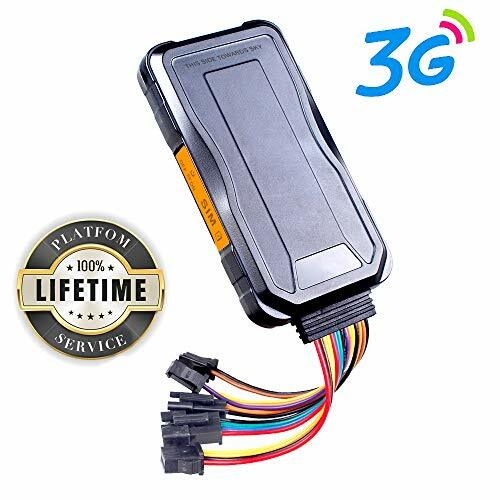 PERSONAL GPS TRACKER: Our GPS trackers have been successfully used by satisfied customers to track and recover stolen vehicles. The unit is perfect for trailers, dirt bikes, ATVs, motorcycles and boats. It will withstand mud, splashes and impacts, weighing 3.5oz and 1.84" x 3" x 0.78" in size. 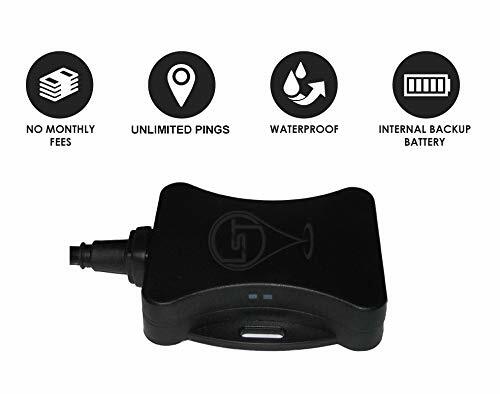 MOTION-ACTIVATED: Built-in antennas and a tamper alert provide real-time monitoring alerts if the device is disturbed, and an internal back-up battery enables additional recovery time if disconnected or your vehicle battery dies. Unlimited Pings. NORTH AMERICAN COVERAGE: Backed AT&T's nationwide coverage that includes USA, Canada and Mexico. 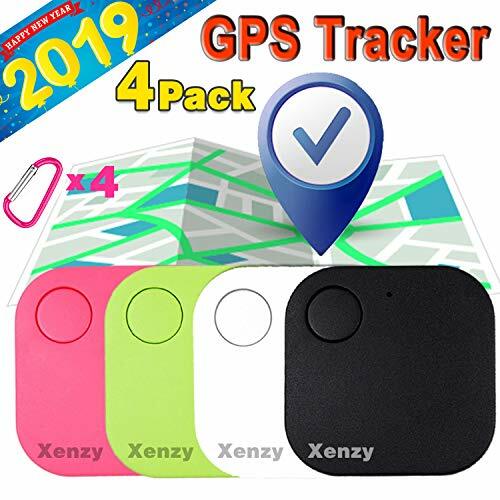 Instantly trace and locate stolen motorcycles, boats, 4-wheelers and more with this small, hidden real-time GPS tracker for 12v and 24v vehicles. 【6 KEY FINDERS】: attach the receives to any 6 items and simply press the number buttons to locate them. Easy to use and operate. 【SAVE YOUR TIME】: Life is busy. People may temporarily amnesia, especially the elder and children are easier to forget things. It is hard to look for the thing what you have lost immediately. But if you have key finder, only need to press the button, you can fine the lost according to the sound. Key finer make your life become intelligent and help you solve the small trouble in the work or life. 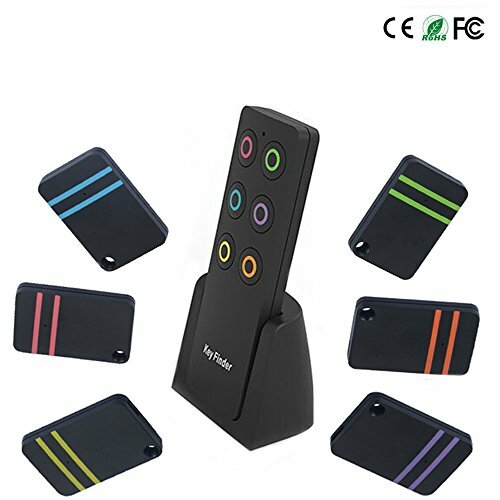 【EASY TO INSTALL】: Detachable transmitter bracket, not only can pur it on the desktop, but also can be n MULTITASK MANAGEMENT. 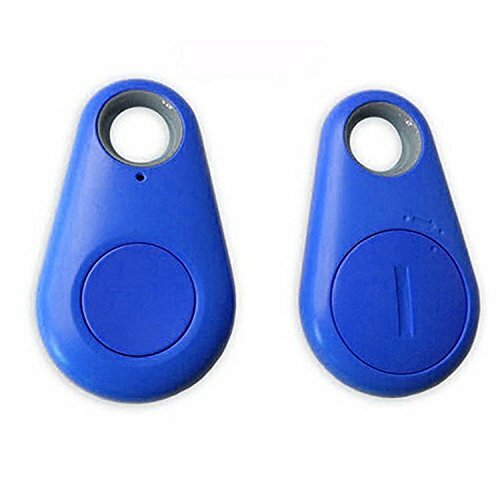 The key finder (receivers) can be attached to key, mobile phone, wallet and luggage, etc. almost all the important items. It!Ps feasible and practical in personal life and work. 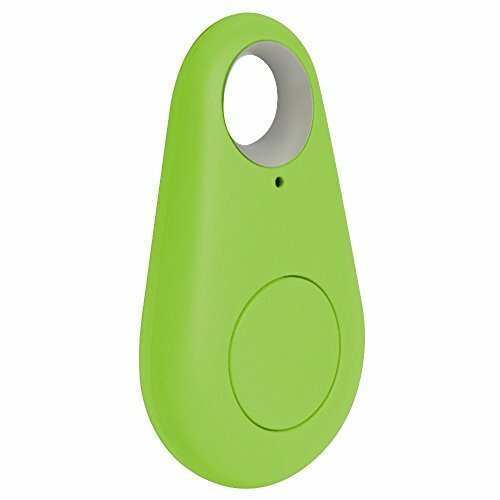 【ONE KEY CALLING, SIMPLE TO OPERATE】: With just one press on the button of the transmitter, the beep sound from the key finder(receiver) will lead you to locate and find the lost item. Cutting edge waterproof design: IP56 waterproof design, no need to worry about rainy days. With 4 strong magnets on the back, the tracker can be firmly stuck on metal surface on cars. Working based on existing GSM/GPRS network. GSM network generic. Please prepare a Micro SIM card. locate and monitor any remote targets by SMS, APP and Internet. It only works on 2G network. 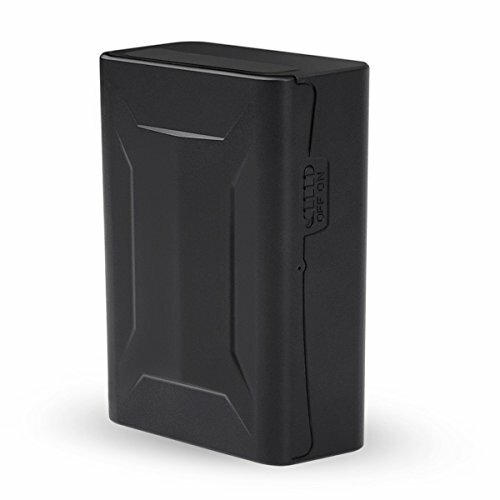 Internal battery Operates GPS tracker up to 90 days on single charge. Recharges by Micro USB for better convenience. Charge using any USB Charger. Covert, Discrete Waterproof Magnetic Case with 70 lbs Magnets, Easy to use, Just stick onto vehicle and go! Updates every 20 secs when Vehicle is moving. Goes to sleep when vehicle is parked for 5 minutes or more. Displays last location before going into Sleep Mode. Access anytime via text. 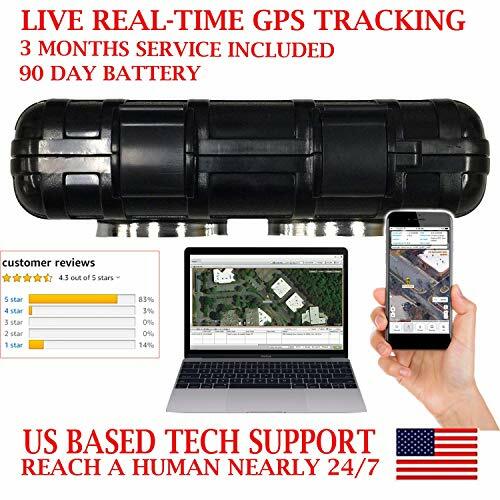 MOBILE GPS TRACKING ON YOUR IPHONE, ANDROID PHONE, PC AND MAC!! Real-time Tracking with Live reporting and History log. View on Phone or on Website. You can also receive GPS coordinates via SMS Text. 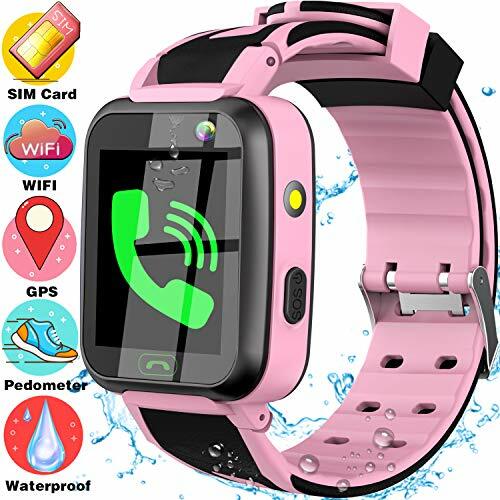 ☔IP67 Waterproof Kids Smart Watch:Our kids watch adopted advanced waterproof design of IP67,with international waterproof and dustproof level.so it is not necessary for kids to remove it when splashing rain,sweator,washing hands or washing others everyday life!You can put the watch into 10 M depth water up to 10 minutes.NOTES:Do not soak into water for long time or put into hot water! 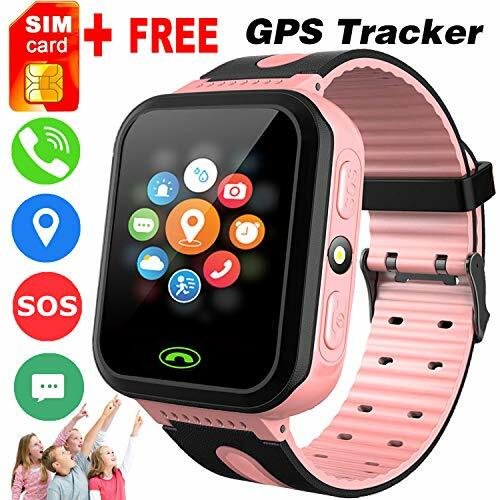 &#x1F6A9;WIFI+GPS+LBS Location:GBD kids tracker water with WiFi+GPS+LBS 3 mode positioning means triple safety for children,Realize all-day real-time location tracking, more accurate positioning.The GPS locate error will be less than 100meter/330ft for Outdoor/Good Signal place.Notes:The Wifi functions only can be a location way, but not works for internet connecting. 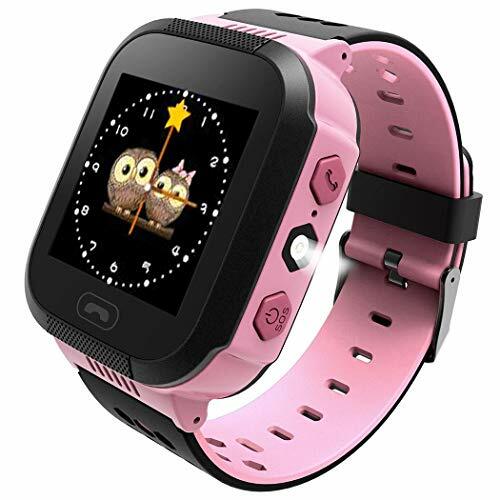 &#x1F3C3;Fitness Tracker Watch:GBD Kids watch built-in a Health Monitor Fitness Tracker , parents can check your child's steps, distance, calories and sleep rolls from the app, just switch on the Pedometer in the app. Help Your Kids to cultivate sport fitness activity habits! 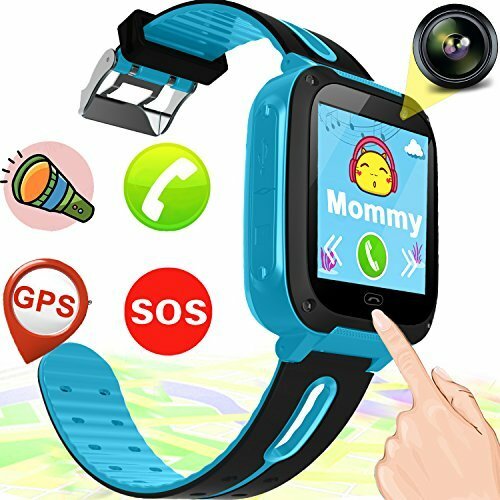 Really a nice easter holiday birthday gifts for kids boys girls! [Tips]turn on the device,MS Mode is enabled by default,it can detect Various wireless signal devices,such as bug device,real-time positioning,Wired locator, wireless eavesdropper, Etc; Long Press the MS Mode Button to Enter the GS Mode(it Can Detect GPS Locator, Strong Magnetic Positioning, Wireless Locator, Etc.）; Long Press the GS Mode to Open the Six Laser Lights on the Back of the Device,throug the hole in the device,Observe if there are bright spots with red color,this is a Pinhole Camera.